An idea what could bring the surprise and delight back in smartphones -- despite them being commonplace. I had a look at the ePub format and came to the conclusion that it does not fit my needs. Looking for another solution though. 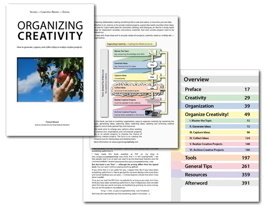 “Organizing Creativity” (2nd Edition) is available! YEAH! It is finished and available. It is here -- free to download, pay something if you like. And above all, please give feedback. 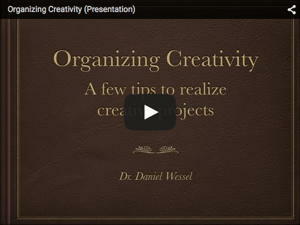 Release Date for Organizing Creativity II: Sunday, March, 25, 2012. I'm risking a prediction when I will release the 2nd version of "Organizing Creativity". It will be finished. It must be. Good advice for bad apps. Really, loved that app, now I hate it 'with the power of a thousand suns' (the big ones). Short review of a brilliant sketching app for iOS.